I made the puppy a festive Bow Tie for his photo with the Easter Bunny (yeah, we’re those people… whatever, it was free) and thought I would feature him today for Bow Tie Friday. 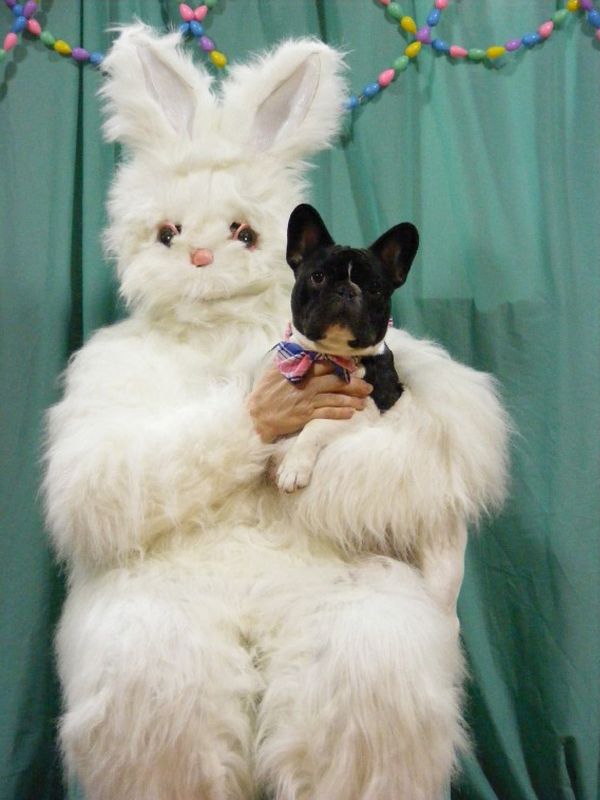 I was actually amazed he managed to sit still next to this somewhat Donnie Darko looking-esque Bunny. Thing looks like something out of Star Wars… Anyway, happy Bow Tie Friday everyone! Haha! I can barely handle this! 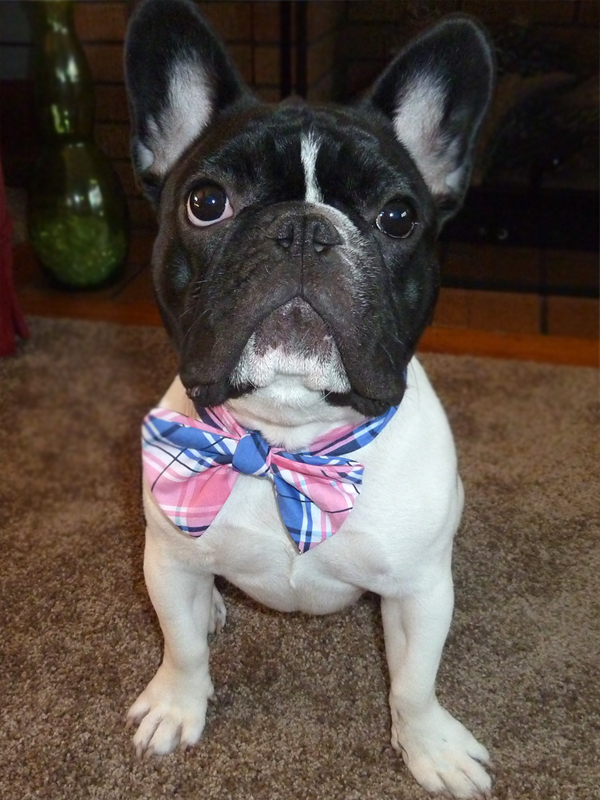 You, actually he, wins Bow Tie Friday! An obscure movie reference? Do I detect a fellow nerd?